The 9-1-1 operator who took the call from Todd Beamer on United Airlines Flight #93 tells her unique story of being 'called' on that fateful day. An ordinary man with an extraordinary faith led the charge that saved countless lives on September 11, 2001. See how faith and courage led to swift, selfless action (in the air and on the ground) on the day that changed America forever. 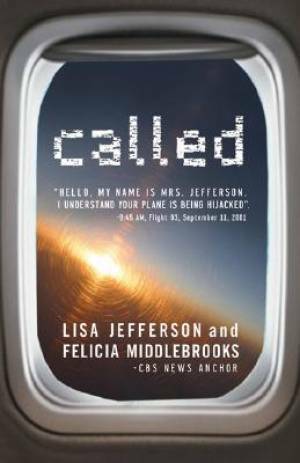 Called by Lisa Jefferson;Felicia Middlebrooks was published by Moody in July 2006 and is our 25138th best seller. The ISBN for Called is 9781881273752. Be the first to review Called ! Got a question? No problem! Just click here to ask us about Called .